Community. Action. Resources. Empowerment. Services. = C.A.R.E.S., these important principles and ideals are the cornerstones of sustainable, workable and healthy communities – now and into the future. From birth to death, every Human Being deserves the right to access all that Life can provide. Food. Shelter. Education. Safety. Stability. Encouragement. Resources. Guidance. Love. Respect. Kindness. And Care. 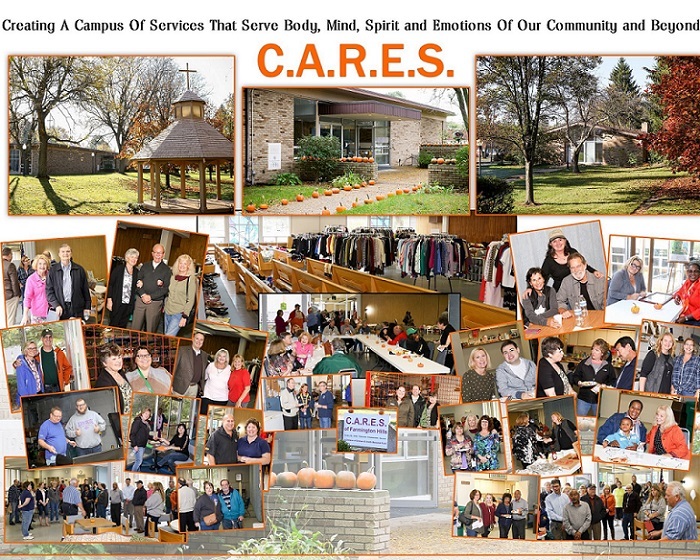 Through thoughtful leadership and far-reaching vision, C.A.R.E.S. 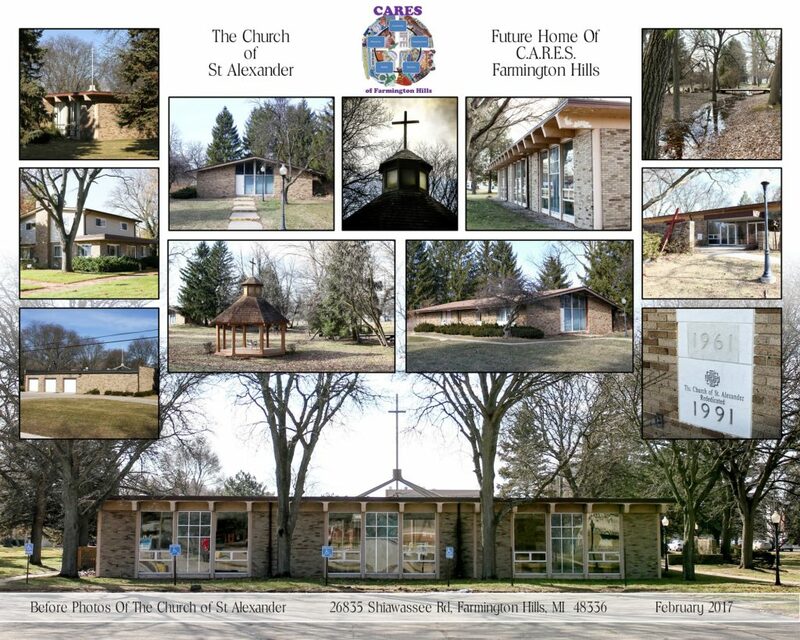 of Farmington Hills, a 501(c)3 non-profit organization, has become a reality, with the successful purchase of the former St. Alexander’s Church and grounds from the Archdiocese of Detroit on June 29, 2017. For decades, the St. Alexander’s Church community was a safe-haven for many, and after having sat vacant for more than four years, the property will once again bustle with life and vitality. Located on 10.5 beautiful acres in Farmington Hills, Michigan, previously owned by the Archdiocese of Detroit, C.A.R.E.S. will serve as an incubation site for the betterment of our fellow citizens and will be a living example of community integration and upliftment for southeast Michigan, for the state and for the nation. The C.A.R.E.S. Campus has three existing buildings - a church, a rectory and a convent, which will serve as the foundation and starting point for the metamorphosis of this far-reaching plan. C.A.R.E.S. is not re-inventing services, but rather is re-inventing the ways in which services are offered, creating a central campus that offers convenient, unprecedented consolidation of human need services, from infancy into senior adulthood.